PLEASE NOTE – This production will no longer be showing at Crosby One Centre, Scunthorpe, on November 23. Blaize are currently in talks to negotiate new dates for the Spring. Youngsters in North Lincolnshire are being invited to turn into literary detectives as they help search for Lost Words at a specially adapted woodland treasure trail this autumn. 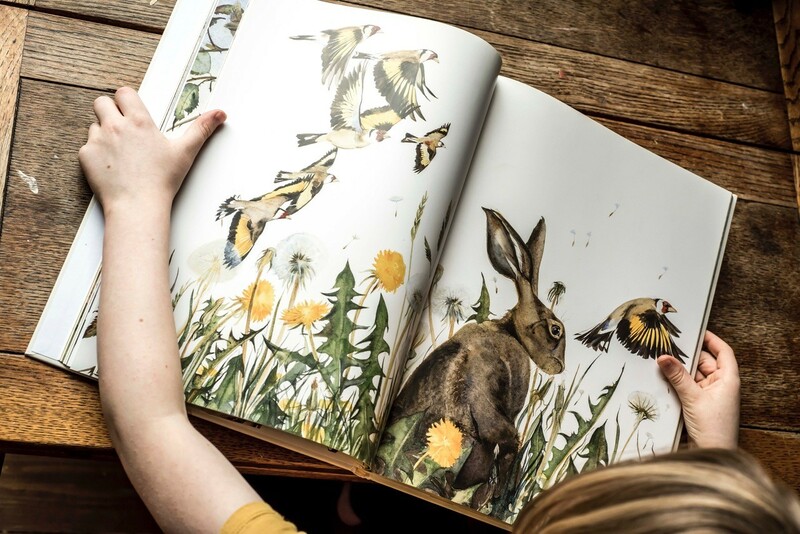 Schools in Crowle, Goxhill and the Scunthorpe Crosby One Centre will be transformed into a magical woodland, where golden charms and words will be hidden for youngsters to find. The work, entitled Seek, Find, Speak, is a new theatrical adaptation of Robert Macfarlane’s award winning book about nature, The Lost Words. The book, which features poems and illustrations of flowers, plants and creatures found in nature, was written in response to the publication of the new edition of the Oxford Junior Dictionary back in 2007. Lexicographers at the time, took the decision to introduce new words such as “broadband” while others, describing the natural world disappeared. Creator/Director of Seek, Find, Speak, Collette Murray is now ensuring MacFarlane’s work reaches an even wider audience. She has created an immersive theatre piece for youngsters, which was showcased at the newly established Timber Festival in the national forest in early July. Please note: Seek, Find, Speak, The Lost words will no longer be showing at Crosby One Centre, Scunthorpe, on November 23. Blaize are in talks to negotiate new dates for this show next Spring. Watch this space.